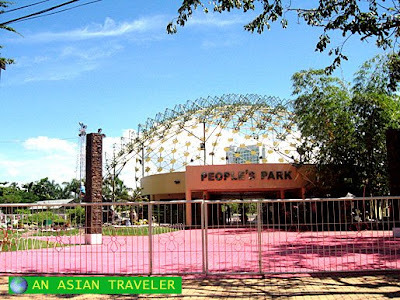 We passed by People's Park in Davao City several times. We turned up one time when the place was partially empty. 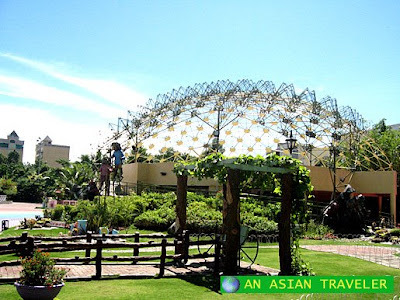 One thing we noticed about this place is the huge Durian dome shape which houses a collection of bamboo. 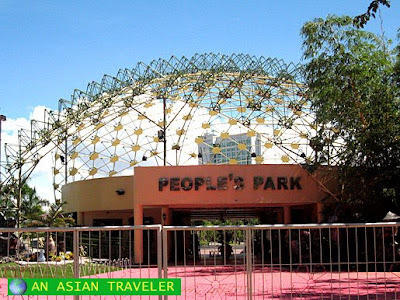 From afar, this dome looks like the Esplanade in Singapore and the golden dome in Taipei Astronomical Museum. 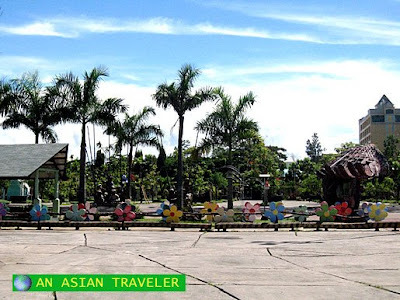 We took a quick sauntering around the park that also features a mini-forest, kid's play area, some sculptures that represents the indigenous groups in Southern Mindanao, fountains and ponds, plants, a shaded and open plaza with a walk-through colorful rainbow pathway. We normally refrain from taking pictures of people but a group of children gleefully asked us to take pictures of them. Without having second thoughts, we readily obliged. 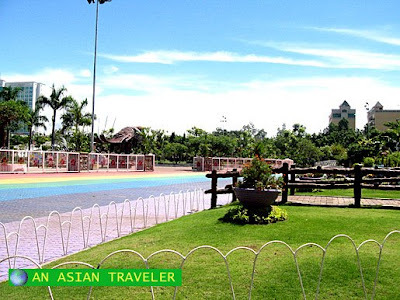 This P72 M worth People's Park is one of city's major attractions and landmarks and was built on December 2007. 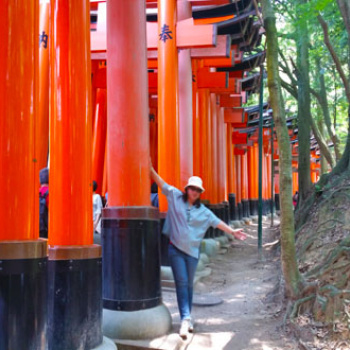 The park does not charge entrance fee for visitors. It is good for a city and it's inhabitants to have a park. nice place! 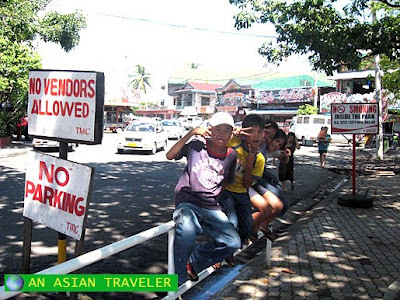 i really missed a lot of things there in davao!!! how long did you stay there? Three days and two nights only. 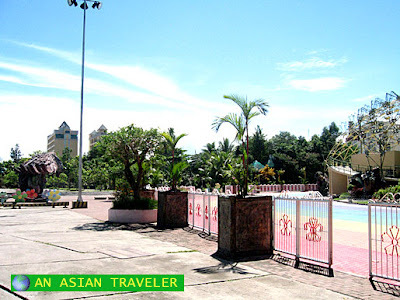 Didn't know there are plenty of beautiful places to see in Davao!